Welp, unfortunately I don't have any steelhead to share with you this week. 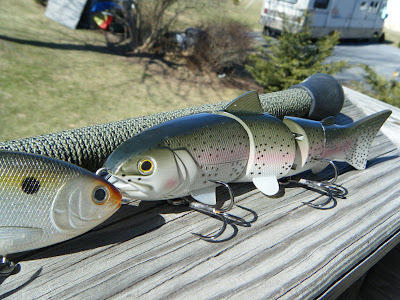 Last week's trip ended up being rained out, so we decided to stay home and fish our local rivers (which turned out to be quite productive thankfully)... We ARE planning a trip for this coming week however, so if everything goes right I will hopefully have some steelie pics to share with you soon. For now, I promised I would give you guys a second sneak peek into my 2011 tackle box... so I guess I should follow through with that. 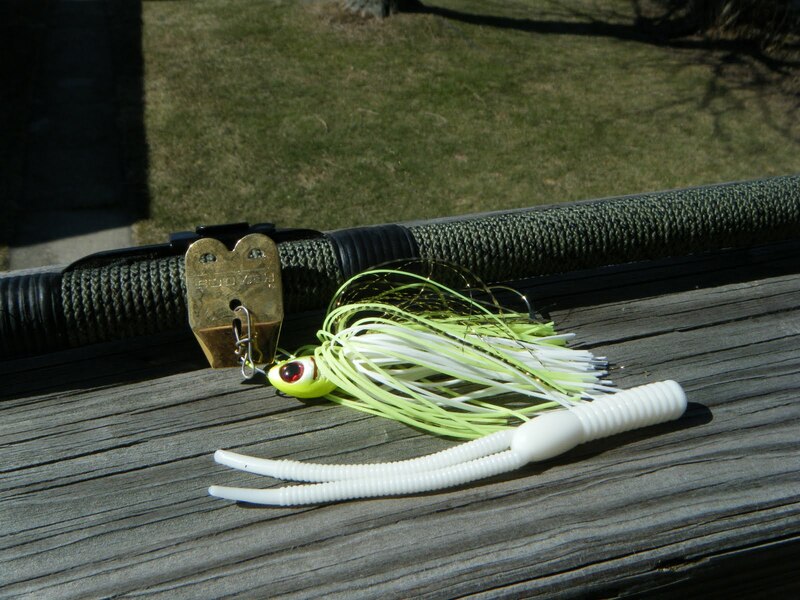 The Boogie Bait is a type of chatterbait. 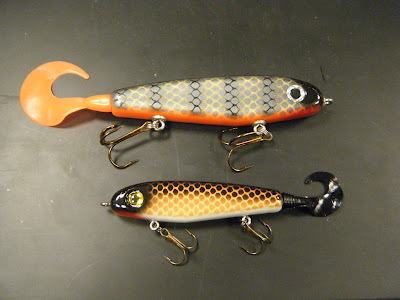 These baits have been around for quite a while now... and are one of the those lure types that I have just kind of skipped over for some reason. Well, I'm going to fix that in 2011. In fact I started fishing them a couple weeks ago... and I caught a nice 19" smallmouth on one last week (pictured at the top). I love the vibration that these chatterbaits produce, they are sure to get a lot of time in 2011. And here it is next to its older (6 inch) brother... I have fished the 6 inch model in the past and really liked its action, so when I had a chance to pick up a couple 4 inch phantoms I did. Pictured is the "sucker" pattern bait, but I also picked up a "white-belly perch" model. 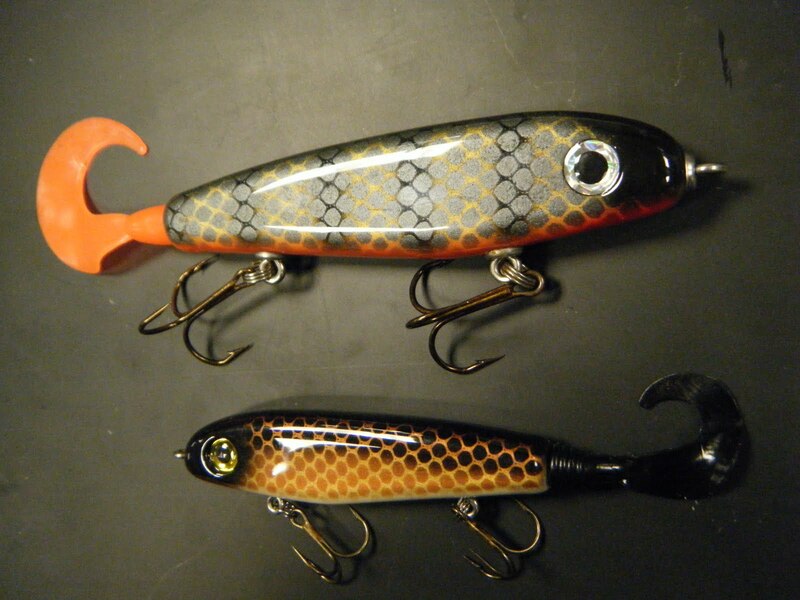 These guys look real nice and their action is great in the water... Exactly like the larger sizes, just in a smaller profile. I know of a few muskies and some large bass that will get a look at these lures this coming season. I can't wait to try them out! 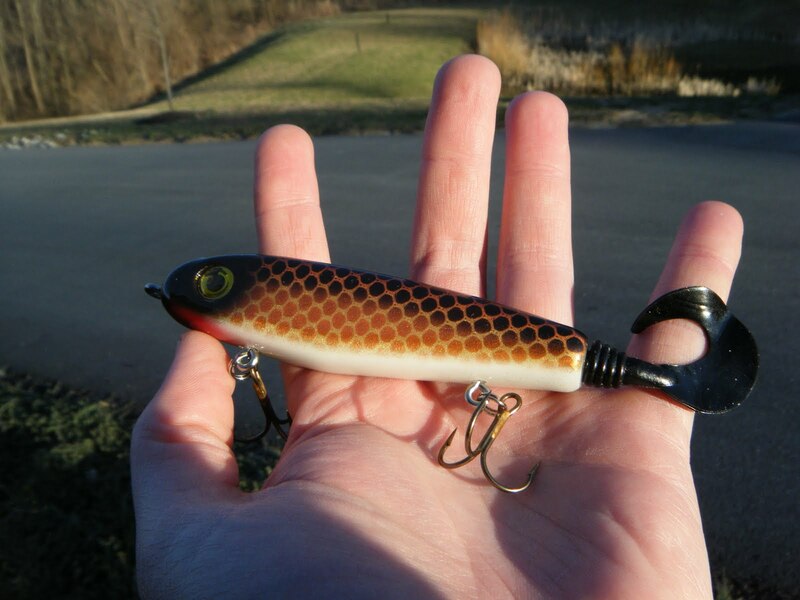 Btw, it is only the hard body of this bait that is 4 inches long... 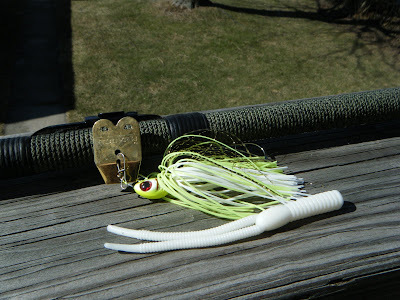 When measured from the nose to the end of the soft tail, the bait measures almost 5 1/2 inches in total length. Congrats on that nice bass, glad to hear you were able to get out. The river's starting to look fishable again! I think you'll love the hard swimbaits. 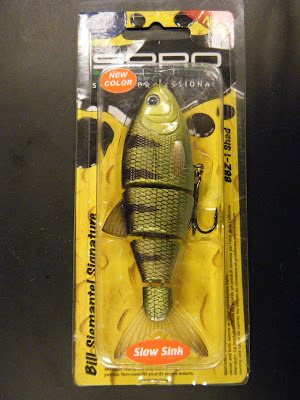 I'm a big fan of them but I mostly use the Tru Tungsten baits. 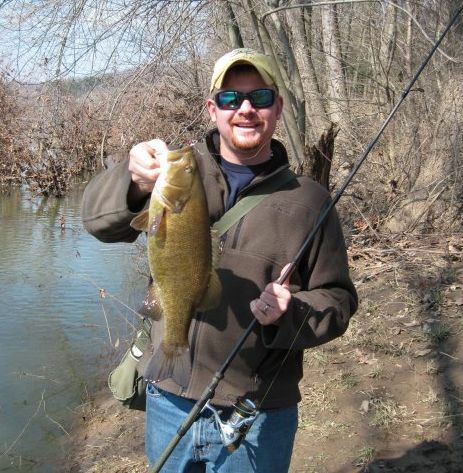 I've taken some big smallies on the river with them. Good luck with the steelies! Thanks Jeremy... Just got back from Erie this afternoon. The steelie trip was defintely a success. We had a great time. You are right, that river is looking real good. Can't wait to get back out there. 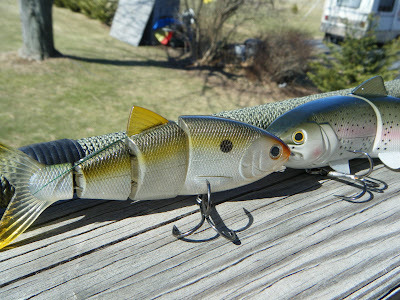 I have a feeling those swimbaits are going to see a lot of action this year. I was really impressed with the way they swim... especially the shads. 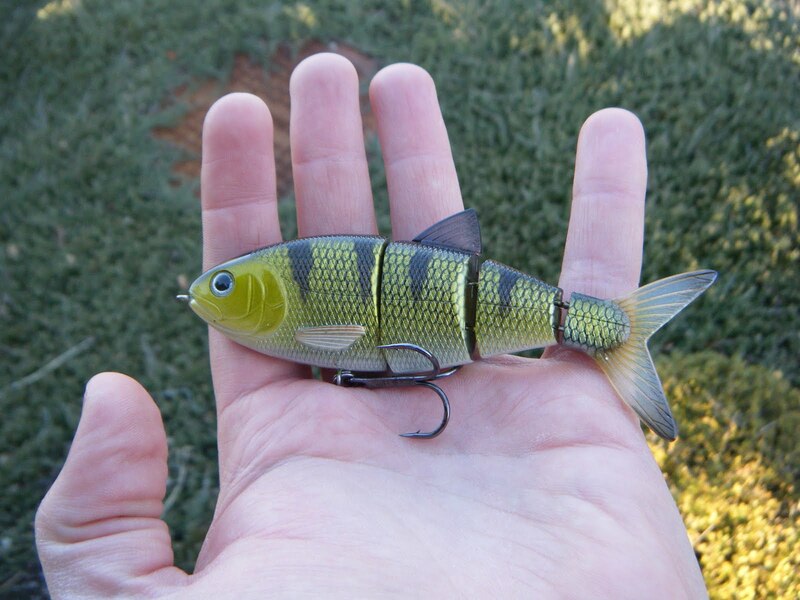 They really just look alive in the water and they come with good hooks, which is a plus haha.